RE/MAX International offers web commercials on www.remax.net. To access and create these videos, login to your account online and click “Marketing” and then “Design Center”. Once you are in the Design Center, scroll through the different products until you see Web Commercial near the bottom. Click to browse different layout and start creating! Web Commercials are designed to help you profile your services, special interests, community events and more. They feature up to six photos that combine movement, transitions and personalized text. Each Web Commercial can be featured on your Web site, emailed, or downloaded to run on your computer. 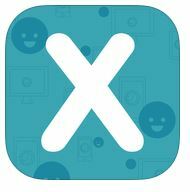 Xim- Xim your photos on your camera roll on your mobile device to another device. The other phone does not have to have downloaded Xim for it to work. Choose photos from your camera roll, Instagram, Facebook, Dropbox, or OneDrive. Send and save multiple photos easily with this app. This entry was posted in Marketing Tips and tagged Hampton Roads, Marketing by remaxalliancevb. Bookmark the permalink.